Check out our review of the Samsung ATIV Book 5 ultrabook. 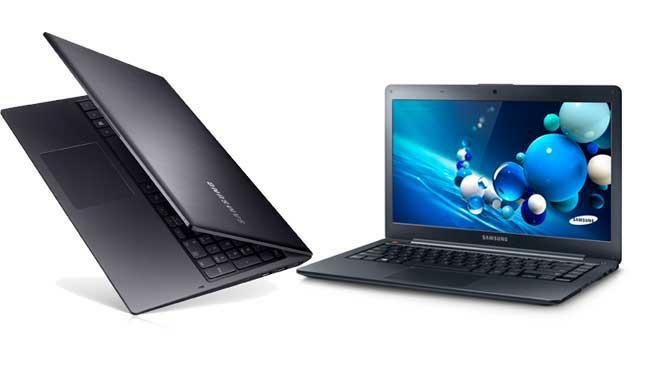 Samsung surprised us today with two new notebooks: the Samsung ATIV Book 5 Ultrabook, and the Samsung ATIV Book 6 laptop. Both are available for pre-order today and serve different needs. The ATIV Book 5 is a sleek machine designed for portability, while the ATIV Book 6 is a computing powerhouse that’s still easy to transport. 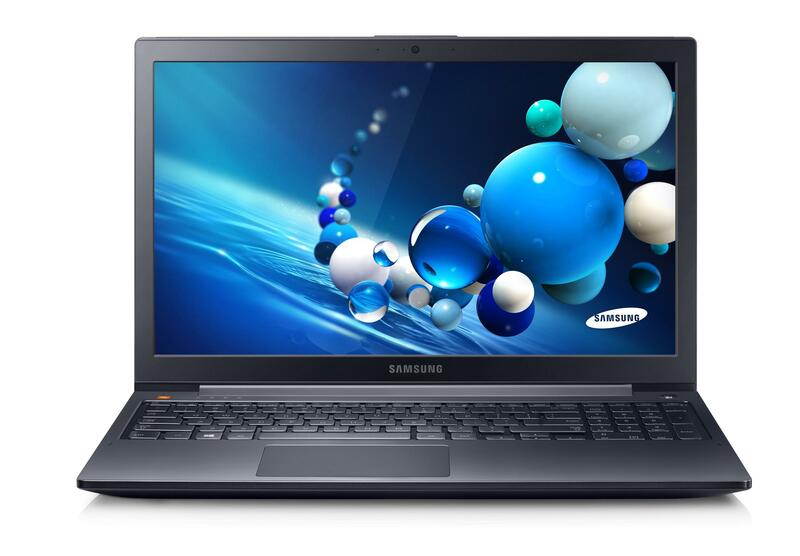 The Samsung ATIV Book 5 Ultrabook cuts a slim profile at 0.82 inches thin and 4.19 pounds. It features a 14-inch, 1366 x 768 touchscreen display and is powered by a 1.8-GHz Intel Core i5-3337U processor with integrated Intel HD 4000 graphics, and 4GB of RAM. For a speedy boot time and lots of storage, the ATIV Book 5 packs a 500GB hard disk drive coupled with a 24GB solid-state drive. According to Samsung, it’ll last up to 6.5 hours away from an outlet. It’s available for pre-order today for $899. If you’re looking for a high-powered laptop, the Samsung ATIV Book 6 might be right up your alley. Though it may look similar to the ATIV Book 5 above, this laptop features a 15.6-inch 1920 x 1080 full HD touchscreen display for optimal viewing. However, it’s what’s on the inside that really counts with this machine. It’s packed with a 2.4-GHz quad-core Intel Core i7-3635QM processor, discrete AMD Radeon HD 8770M graphics, 8GB of RAM, and 1TB hard drive. While the ATIV Book 6 is poised to be a gaming and multimedia powerhouse, it weighs a very reasonable 5.18 pounds and is only 0.90 inches thin. The ATIV Book 6 is also available for pre-order today for $1,199. Both laptops feature Samsung’s new SideSync technology, which allows Samsung smartphone users to switch between the two devices more easily. Connecting an Android-powered Samsung phone via USB to the Samsung notebook lets users answer text messages using their computer, edit files on the phone with their PC, and drag and drop files between the two devices. The idea is that your phone won’t distract you from your computer and vice versa, but this is definitely something we’d like to see in person before making a judgement on it. Hopefully, we’ll have the chance to put both these machines through their paces soon.